Note-book 13x8cm. 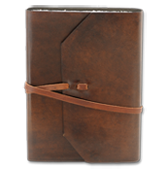 The cover is made from dark brown, aged leather. The note-book can be tied shut with a leather lace and contains ivory handmade paper from Amalfi. The note-book is sewn together by hand. Note-book 13x18cm about 80 pages. The cover is made from dark brown, aged leather. The note-book can be tied shut with a leather lace and contains ivory handmade paper from Amalfi gr. 150. The note-book is sewn together by hand. Note-book 18x25cm. The cover is made from dark brown, aged leather. 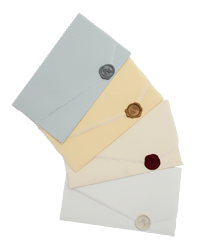 The note-book can be tied shut with a leather lace and contains ivory handmade paper from Amalfi. The note-book is sewn together by hand.